The countdown is officially on for 2018’s Ride4GWAAC! It is not long until we welcome motorcyclists to take part in our 2018 ride out. Bikers are welcome to join us on Sunday 15th July for what is set to be a wonderful ride around Bristol, taking in the lovely views and sights including a ride across the Clifton Suspension Bridge. Riders will take off at 10am from the Bradley Stoke Old Boys Rugby Club and embark on a 2-hour route, ending back at the Rugby Club for an exciting festival day with family and friends and the GWAAC team. The festival will be starting at 12pm, with food, fun exhibitions, music, merchandise stalls and more. Everyone is more than welcome to attend the festival (for free! 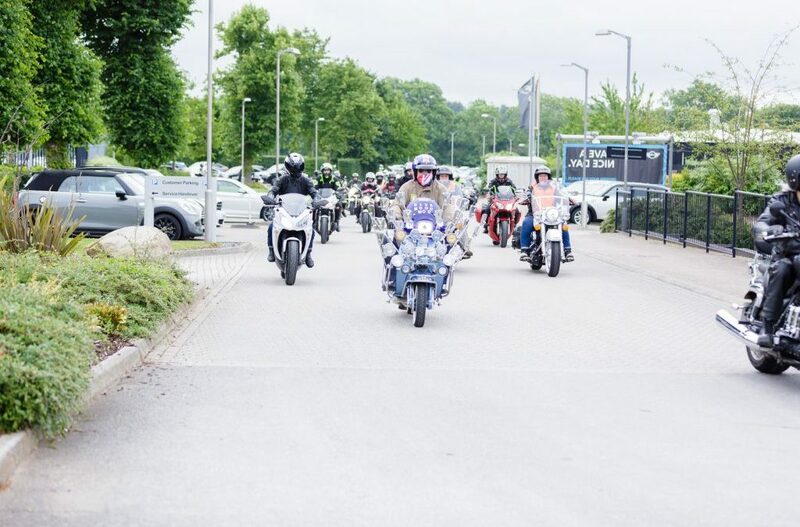 ), you do not have to be a biker or take part in the ride out itself, you can turn up on the day with your family and friends and enjoy a nice festival day out. If you want to buy a ticket to take part in the ride out, you can do so here. Take a look at our website for all the information you need on GWAAC’s 2018 Ride4GWAAC, in 5 weeks’ time!